So you are working hard on your blog, spreading ideas you are passionate about and you need to get in touch with your visitors. 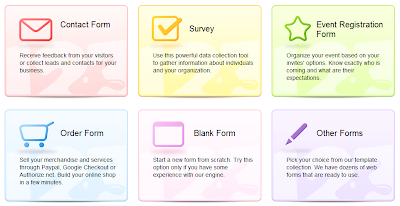 Forms are great means of converting casual visitors into engaged audience for your blog. How to put them up on your page? Forms use server side scripts for submitting data, but as we all know, Blogger does not allow using server-side scripts, which means the mail() function is unaccessible. 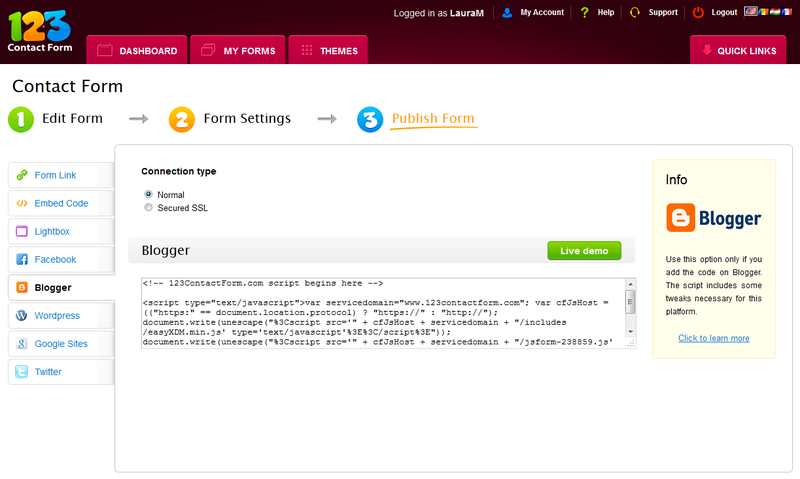 With no plugin or widgets either, the only way of creating and running a form for Blogger is to use an external service that provides the needed scripts. Which is good news, because most often form builders come with a bunch of great extra features to boost the usability of your forms. 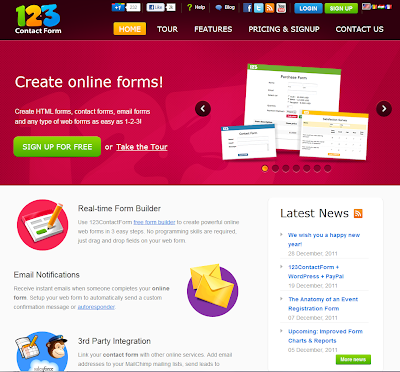 123ContactForm is one effective web form builder that helps you create and administrate all types of forms and surveys for Blogger. All submitted info is stored securely for you on the 123ContactForm servers, where you can access it with any query. customization. Make them blend with the image of your blog. submitted data), Yahoo and Google Groups, VerticalResponse, iContact. - Data export. This form generator exports submissions to neat CSV sheets that may be called later for database purposes. - Reports over data. This can be a very useful tool for dedicated marketeers. Instead of having a long list of submissions that they have to analyse later with dedicated software such as SPSS, reports are ready in a minute without them getting hands dirty with raw data. 1. Sign up/Log in to www.123contactform.com. event registration form, order form, survey. 4. Choose Settings - the e-mail address for notifications, payment integration for order forms, 3rd party apps you wish to integrate with your form. 5. Last step - Get code & Publish. 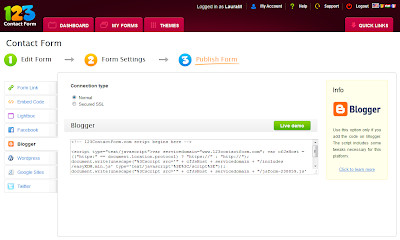 Choose the Blogger tab, copy the code given and paste it into your Blogger post (in HTML view). And voila! Here is your fresh form ready to use. 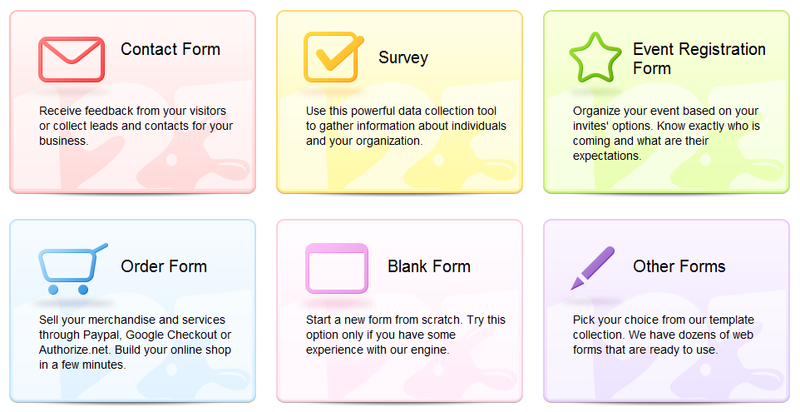 Forms are very handy tools to help you out in a variety of situations. If you are a new blogger needing a hatful of contacts for sending newsletters, just put up a simple contact form with opt-in fields for the users to choose the sections that interest them. You can perform surveys for gathering feedback from customers (online product surveys, business demographics, customer satisfaction surveys). Or you can sell and receive payments through order forms. All you need is the idea, tools are at hand!